We're having a blast with our Snap Spectacles, which you can see if you add us on Snapchat or take a look at our Facebook Page. Fair enough.So we’re giving them away. If you're trying to track down a pair of Snap Spectacles in San Antonio, you can find them right here at Parkhurst NuVision. And they could be all yours. It takes all of 3 seconds to register to win. Click here or head over to our Facebook page, put in a few pieces of info, and you could be wearing these beauties and taking your Snapchat game to the next level. We have one pair…. Do you want them? 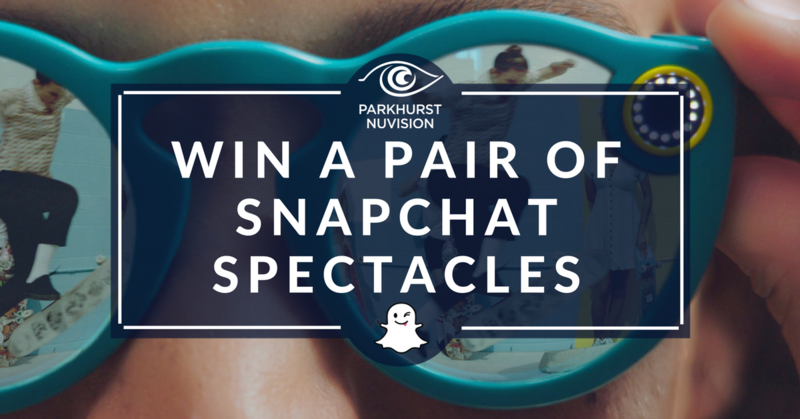 Click here to enter to win your Snapchat Spectacles from Parkhurst NuVision. The clock is ticking on this fun giveaway. Don’t wait because you’ll miss it.